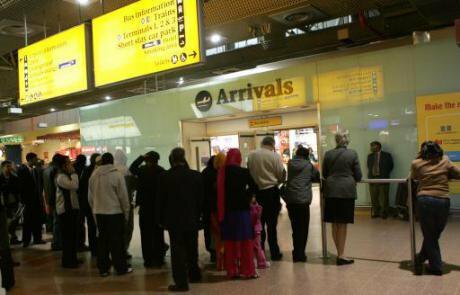 Arrivals at Heathrow. PA/Tim Ockenden. All rights reserved. How do migrant workers access justice when their rights are violated? And who decides what that justice looks like? Too often, and particularly when the migrant worker is a woman, her own choices in travelling and working abroad are overlooked. This happens, for example, when government agencies make blanket statements that exploited workers should be sent home. In late 2016, the Global Alliance Against Traffic in Women (GAATW) organised a gathering in Bangkok, Thailand, where the issue of how to define justice was centre-stage in conversations with lawyers, NGOs, and others working to support migrant workers. There, speakers emphasised that for justice to be real, migrant workers must feel that their needs and desires are heard and understood. Lawyer Eleanor Taylor-Nicholson has worked on migration and trafficking issues in Australia, southeast Asia and the United States. She remarked how, a decade ago, prosecution was seen as the only route to achieve justice. Now, she said, other avenues to seek compensation are receiving more attention. For more than 20 years, Renu Adhikari has been lobbying for the rights of migrant women and survivors of trafficking. She founded the Women’s Rehabilitation Center-Nepal (WOREC) to support women survivors of trafficking and HIV/AIDS. She stressed that NGOs too often overlook the needs and desires of the women they are trying to help. As an example, she described how, in the 1990s, her organisation asked a group of girls who had been removed from brothels in Mumbai what justice meant to them. Even when a woman wants to exercise her agency, she may be restricted from doing so. A migrant worker may not be able to read her contract, for example, and must have someone else to explain the terms to her. 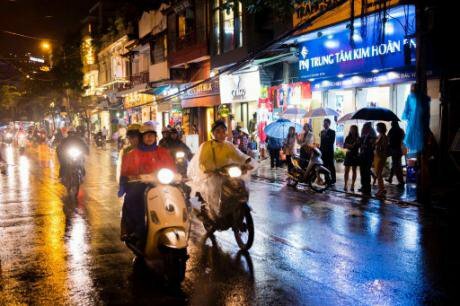 Hanoi, Vietnam street. PA/Gregor Fischer . All rights reserved. The International Labour Organisation (ILO) Tripartrite Action to Protect Migrant Workers project has collected complaints of migrant workers in Cambodia, Laos, Malaysia, Myanmar, Thailand and Vietnam. Evelyn Probst, a GAATW board member who has worked on trafficking issues in Europe for more than 15 years, said that while punitive justice is important, what trafficked persons and migrant workers (with or without documents) seek is restorative justice that enhances their freedom and empowers them. True justice for migrant workers requires the establishment of economies that work for people, instead of our current paradigm of people working for economies. This would necessitate action to address high levels of inequality and mega-trends such as climate change as well. Social and gender justice for migrant workers ought to include universal social protection, access to basic healthcare, basic income security, and access to education regardless of citizenship. However, migrant workers in many countries must also contend with intolerance and extremism that increases marginalisation and foments exclusion. More than ever before, it is crucial that the pursuit of justice is a unified effort, carried out in collaboration with migrant workers themselves. This also means that their work is recognised, and that their working conditions are improved.